The Rocket Pengwin Happy Hour featuring Rocket Pengwin, Peter Berkman, Hiyawatha, DJ Jergo and more at Webster Hall! Friends with Benefits is the new summer monthly at an established watering hole. Join us on August 10th to celebrate one of the best times of the year in the city. Webster Hall End of An Era Party Presents Skrillex, Boys Noize, Dog Blood, Ekali, Deux Twins, Alex English, Dischetto, Tjani, Dali, Hiyawatha, rekLES and more! 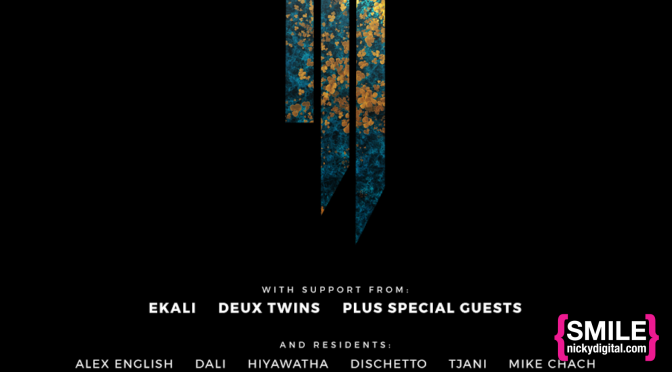 The End of an Era: Skrillex, Ekali, Deux Twins Plus Special Guests! Webster Hall Presents: Skrillex, Ekali, Deux Twins with Webster Hall residents Alex English, Dali, Hiyawatha, Dischetto, Tjani & Mike Chach!